It was my last workday of the year today. I was going to clean windows in the afternoon, but changed my plan because of unfortunate rain. 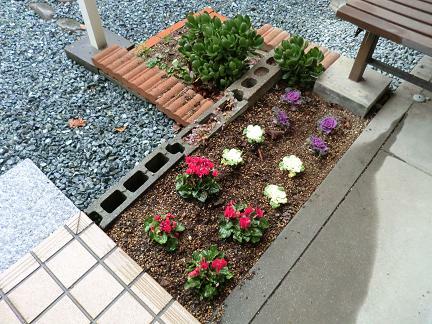 I took a rest for a short time while reading a newspaper. I made a rolled omelet with hanpen (a cake of ground fish combined with starch and steamed). 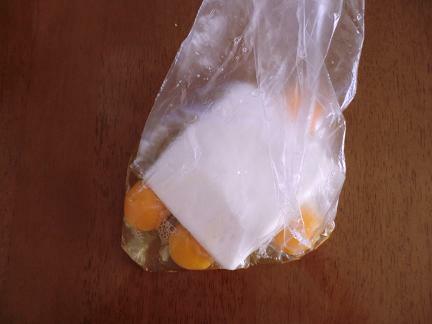 I put four eggs, a hanpen and seasonings in the plastic bag. I rubbed this by hand and boiled it in a pot. 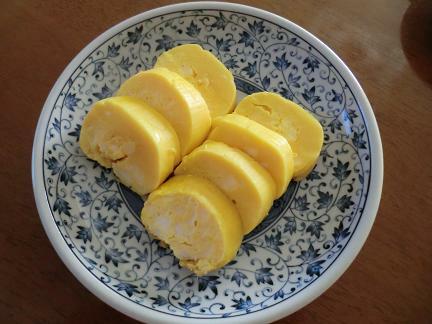 A delicious rolled omelet was made, but only my husband and I ate this as a trial cooking because the appearance was not good. 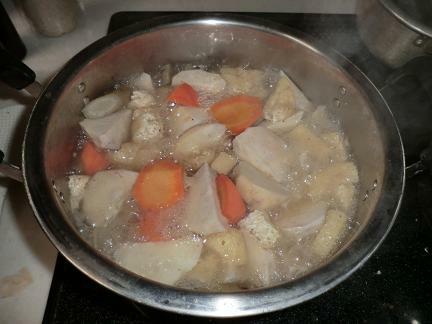 I boiled taro, burdocks, carrots and "abura-age" with soy sauce and suger. Taro didn't boil over at all because I used "abura-age" with it. 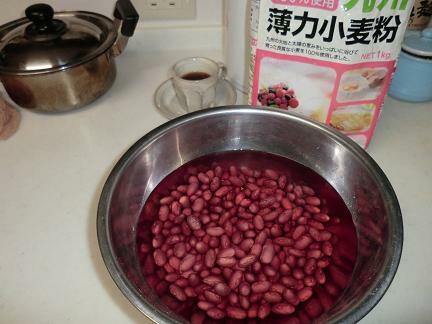 I soaked "kintoki-mame"　into water overnight and will boil them tomorrow. By the way, I made an interesting error. I mistook a flour bag for a pancake mix bag. I found the too colorful flour bag in the storage of food. I made steamed bread with an apple and cinnamon. 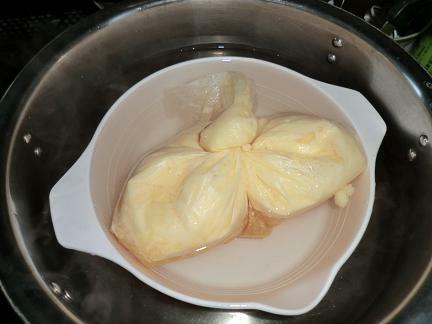 Just a steamed dumpling was made in the end. The fresh steamed dumpling didn't seem to taste bad for my husband. Thankfully he ate it. I have to prepare for New Year holidays tomorrow. My husband's elder sister's family, seven people will come to my house on New Year's Day. Thank you for reading my blog this year, too,everyone. I wish the New Year might be fruitful, and best year for you.